Hanabee are slicing out a little bit of a niche area for themselves with the release of Anohana, The Ordinary Lives of High School Boys, Toradora and now Tsuritama. All fantastic series in their own right but they all seem to have a common thread in being kinda-sorta slice of life series. In no way is this a bad thing. Their catalogue is well balanced with the darker Bakemonogatari and Another as well as classics in Princess Knight and the upcoming Revolutionary Girl Utena. The only reason that this really stands out is because up until now, slice of life type titles have been few and far between. Saving the world one fish at a time. When the fate of the world lies in Yuki’s non-existent fishing skills there’s only one thing to do – learn to fish of course! 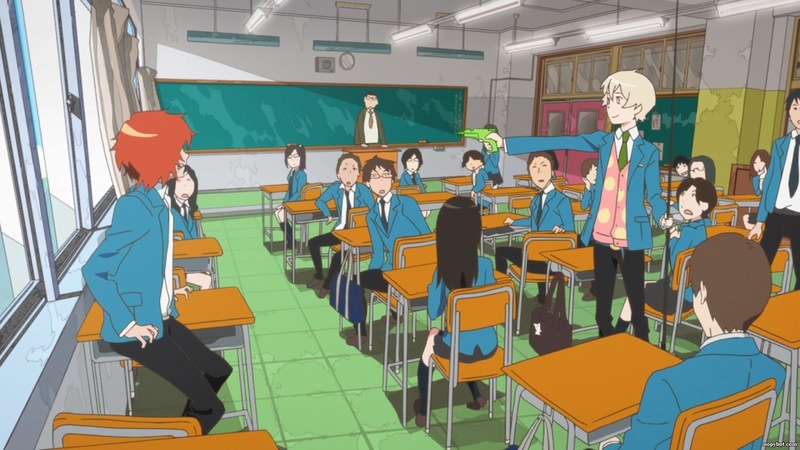 But socially awkward Yuki has more pressing matters drawing his attention…like his debilitating inability to communicate with others (and the fact that he’s the new kid on the block is not helping matters). Haru, a peculiar boy with his own secrets, is making it his mission to help Yuki learn to fish and make friends in the process. Although when your group of potential friends consists of a cold ‘Fishing Prince’ and an aloof Indian hiding his own agenda in the form of DUCK things are bound to get messy. If there was one word that could be used to describe Tsuritama, it'd be whimsical. It's a lovely mish mash of sci-fi and comedy which manages to be incredibly kooky and yet relatable at the same time. The reason that this series is so relatable is because the characters are so well developed. The whimsy of the series is accentuated by the lighthearted and overwhelmingly innocent score by Kuricorder. Instead of thick orchestral choruses, Kuricorder deliver somewhat thin composition using various recorders, harps, ukelele and my personal favourite, the melodica. Another highlight of the series is the animation quality which should come as no surprise considering that it's A-1 Pictures (Anohana, Blue Exorcist) at the helm. The animation quality benefits greatly from a flawless Blu Ray transfer from Hanabee where you'll get not a single artefact or blocking of any kind. The colour palette is bold and vibrant which is the perfect accompaniment to the levity of the series. That's not to say that the entire series is filled with frivolity. The real triumph of this series is the balance that it strikes between the character building emotional turmoil and comedic set pieces. While it may be described as a slice of life series, nothing could be further from the truth. Even the character design puts its stamp on the series with characters that are unique and quirky but still manage to keep on the good side of ridiculous. 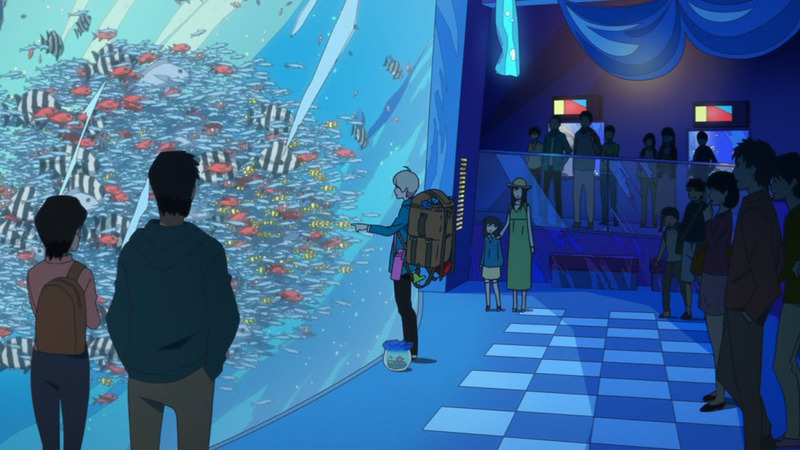 In short, Tsuritama is a delightful series that develops and delivers over the space of only 12 episodes. The way in which it manages to leave a lasting impression in such a short amount of time is truly a credit to the series' writer, Toshiya Ono, and director, Kenji Nakamura. Speaking of Nakamura-san, we can only hope that Hanabee (or another Aussie distributor) picks up the rights for Gatchaman Crowds. With just about any genre of anime available from any of Australia's distributors, sometimes all you need is a simple delight that doesn't necessarily consist of blood soaked ghost stories or a harem series filled with fan service. Tsuritama fits that bill and then some. 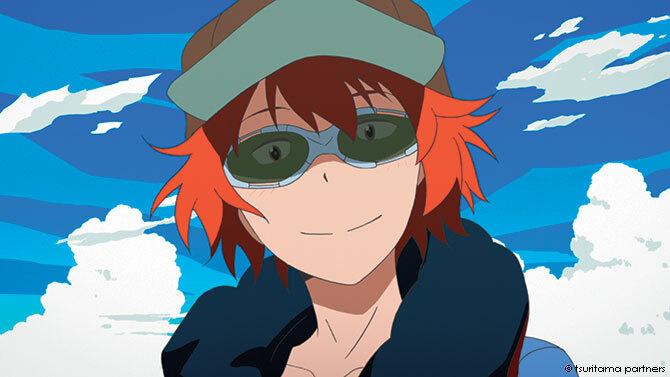 Tsuritama is available on Blu Ray and DVD now from Hanabee.